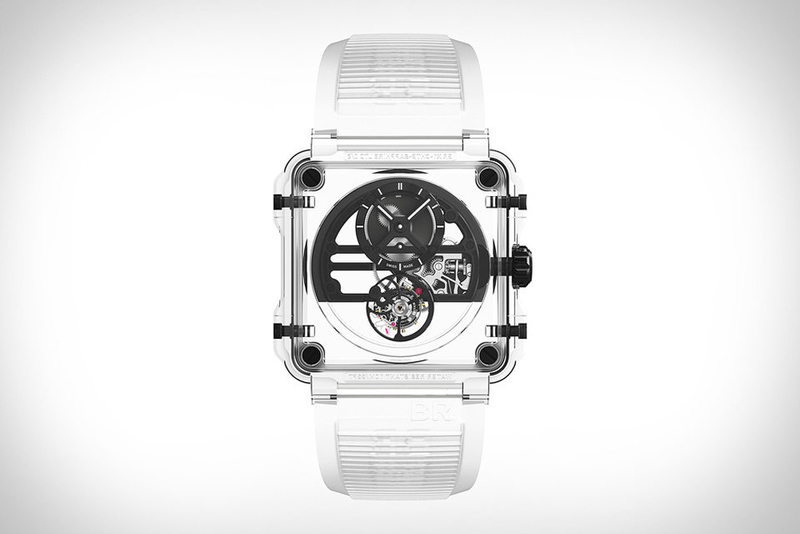 Take a look at these stunning Bell & Ross BR-X1 Skeleton Tourbillon Sapphire Watch. 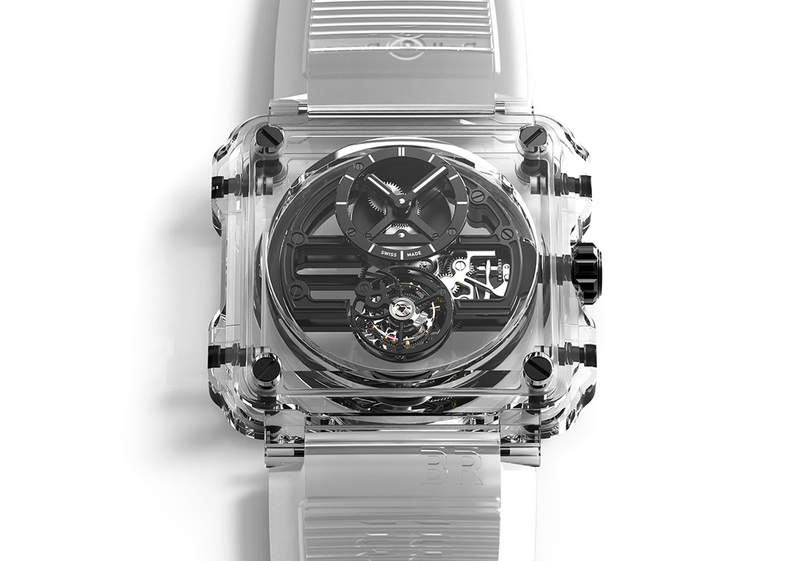 Each of the three one-of-a-kind pieces has a 45mm case made from five blocks of sapphire, which holds a movement with the main plate, bridges, dial, hands, and tourbillon cage all made from a single hue. The first is a black version that offers the maximum contrast with the clear case and translucent rubber strap, the second is made using solid pink gold, and the third is a deep blue that refers to the aged color of the hands on antique timepieces. All three have a skeletonized dial at 12 o’clock, a flying tourbillon at 6 o’clock, and Superluminova-filled indices and hour and minute hands. One piece costs $400,000. 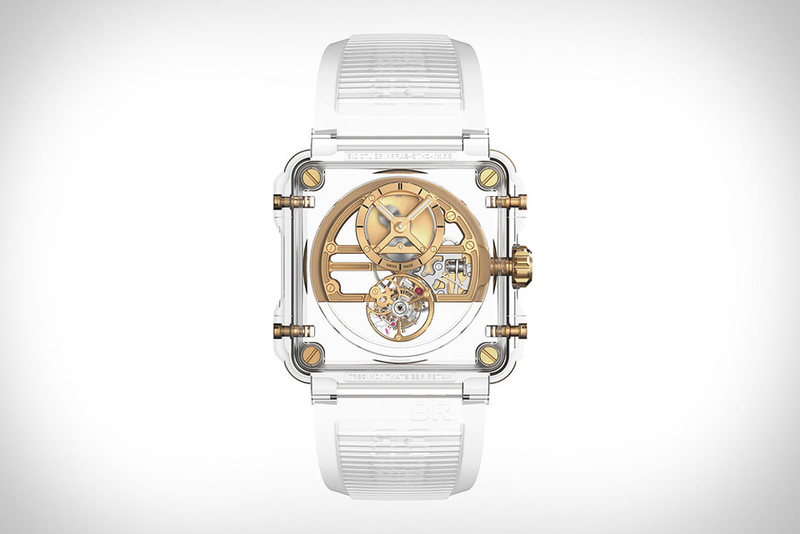 And don’t forget to check TOP 10 most expensive wrist watches in the world.